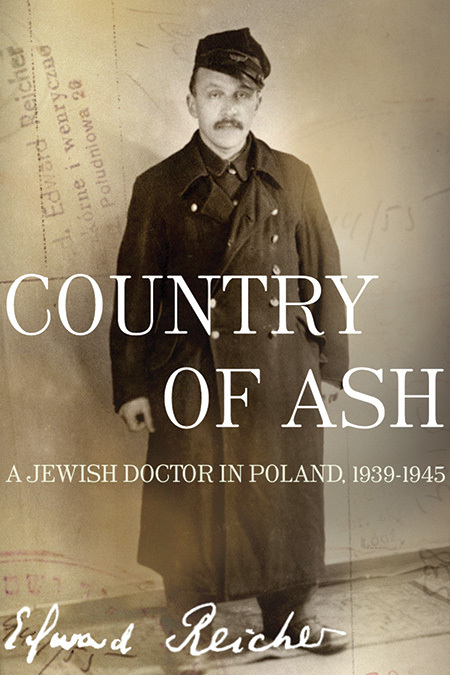 Country of Ash is the gripping chronicle of a Jewish doctor who miraculously survived near-certain death, first inside the Lodz and Warsaw ghettoes, where he was forced to treat the Gestapo, then on the Aryan side of Warsaw, where he hid under numerous disguises. He clandestinely recorded the terrible events he witnessed, but his manuscript disappeared during the Warsaw Ghetto Uprising. After the war, reunited with his wife and young daughter, he rewrote his story. 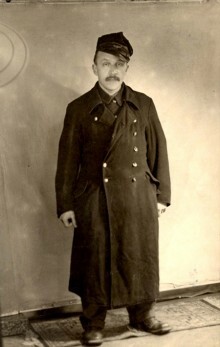 Peopled with historical figures from the controversial Chaim Rumkowski, who fancied himself a king of the Jews, to infamous Nazi commanders, to dozens of Jews and non-Jews who played cat and mouse with death throughout the war, Reicher’s memoir is about a community faced with extinction and the chance decisions and strokes of luck that kept a few stunned souls alive. A few days after the events in Falencia, I woke up at five o’clock in the morning with a strong sense of foreboding. The pressure in my chest warned of impending danger. At six o’clock there was a knock at the door. “Police! Open up!” Two men came in: a Polish policeman and a streetcar driver. Pola was sleeping with Elzunia. The two men surveyed the room. The streetcar driver had made sure to close the door behind him. “You’re Jews!” the policeman shouted in a menacing voice. I was in such shock that I didn’t know what to say. I was speechless with fear. Meanwhile, they were ransacking the room in search of valuables. They found nothing of interest. My wife begged for mercy, and five-year-old Elzunia fell to her knees before a holy image lit by a small red lamp and was praying aloud. Kaczynski, who had taken her to church a few times, had taught her some Catholic prayers, and she firmly believed she had been baptized. Now she knew that she and her parents were in grave danger. With tear-filled eyes uplifted to the image of the Virgin Mary, and hands folded, she was pleading for salvation. The policeman looked at the child and ordered a halt to the search. The child’s fervent prayers had moved him, and he let Pola speak. It turned out they were informers and wanted a ransom of 10,000 zlotys. Pola bargained them down to 4,000. We handed over all the money we had in the apartment, and gave our word of honor that we would pay them the rest within the week. “I will sell a few things and give you what I get for them,” I assured them. The policeman looked tenderly at Elzunia. I took the informers to a nearby bar. When they were suitably drunk, they told me who had given them our address; Zygmunt, the forger. He had probably not done it intentionally; because he was an alcoholic, cheap booze had probably loosened his tongue. When I returned home, we discussed our situation. We had no other hideout, and we had no choice but to stay there and take the informers at their word. That was an unforgivable mistake. We should never have stayed in a compromised hideout. But Gniewkowski could no longer help us; after the tragedy of the Ziembinskis he was suffering from anxiety. We should have gone back to Bronia’s, but we didn’t. We knew how vulnerable we were, though, so we resolved to place Elzunia in safety. If we were to die, then at least the child would live. But first I had to come up with the rest of the ransom.